Our logo DOLSI, the pronunciation is similar with Chinese Pinyin "douniushi" which means matador. The matador, originating from Spain, is famous all over the world with perfect combination of confidence, art and power. 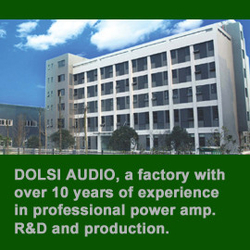 With over ten years of production experience in professional audio products, Dolsi Audio has grown up to be a manufacturer focusing in design, research, development and manufacturing of high quality audio equipment, including professional power amplifier, speaker system, and other audio peripheral products. 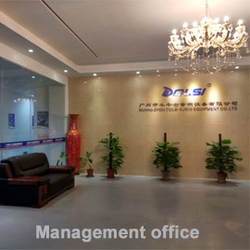 With strong R&D capability , Dolis is working on custom-made, OEM and own-brand production for clients from all over the world. 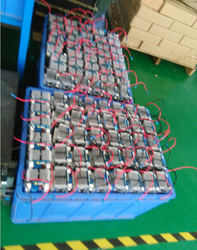 One of our outstanding business is the development on our own power amplifiers with patents. 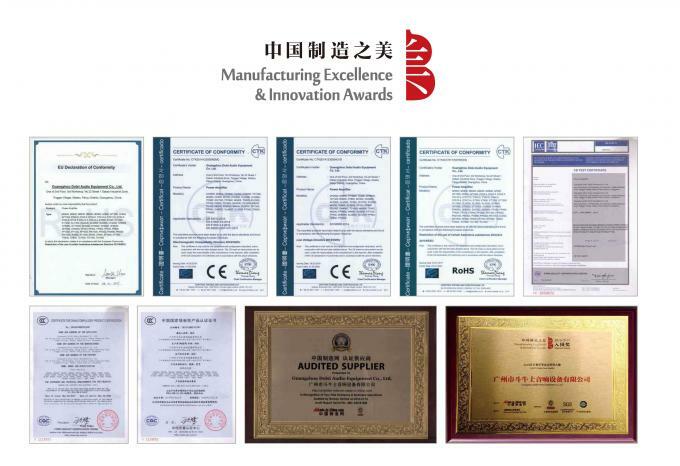 We have obtained a number of patents on technology invention, out-ward appearance design, and circuit board layouts. 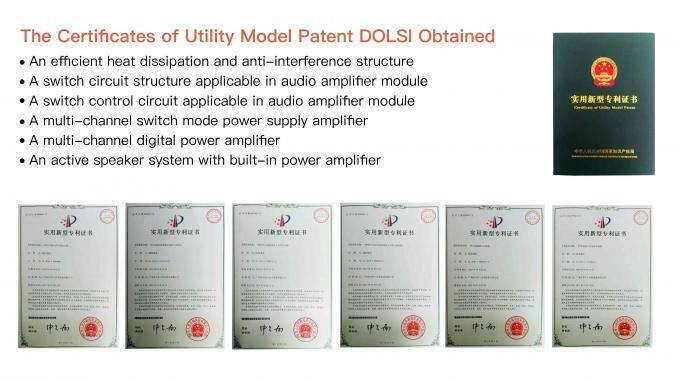 Starting from traditional analog circuit, after hard working of our senior Engineers, Dolsi developed over ten series of amplifiers covering classic analog technology, inculding Class-H, high efficiency TD electric circuit, SMPS and Class-D digital amplification and professional audio system. All of our products are made with well selected parts and quality components. Co-operation with famous suppliers America ON, Japan Toshiba and SANKEN, DOLSI ensures the advantage of technology updating and product reliability. 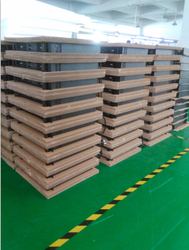 We understand well about the real demand to the reliable performance of audio equipment from different types of applications. 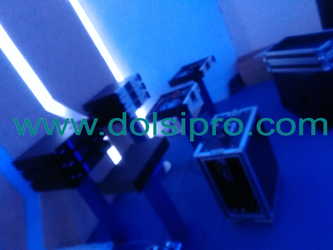 Dolsi engineers configure the product function with different structure and feature based on different applications, coming out variety of product series that can be widely used in theatre, stadium, outdoor events, club, indoor show,meeting room, church, bar saloon and multiple-function hall. Quality is the critical point of a business life. 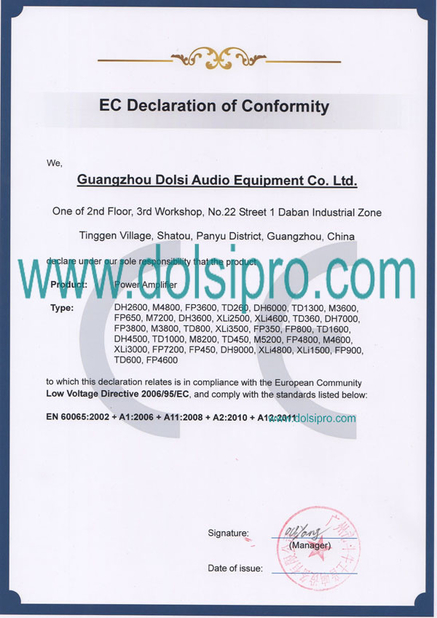 We always stick to quality first, customer supremacy and service success.Dolsi product passed CCC, CB, CE and RoHS certification. Believing that there is no best , only the better, Dolsi is in progress with every client's feedback.Thank you for your trust to us. 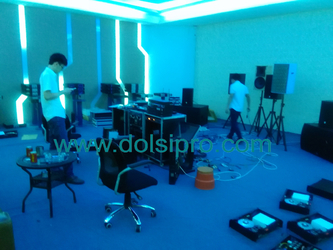 Dolsi Audio Equipment Co. Ltd, established in year 2004, is a manufacturer majorly focusing in research, development and production of high quality of audio equipment. 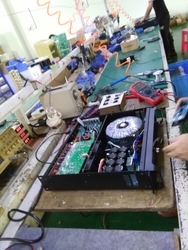 With experience of product development, we have strong technical, and R&D strength. 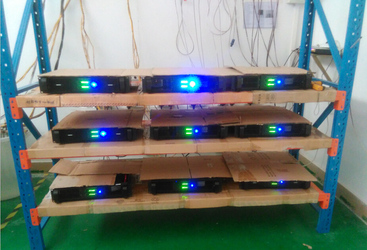 Starting from traditional simple simulation of back stage power amplification, after hard working by several senior Engineers, we have developed series of amplifier with mature technique including classic simulation technology, high efficiency TD electric circuit, digital amplification and professional audio system development. 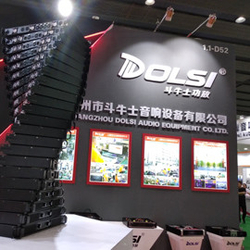 Co-operation relationship established with famous components suppliers, such as ON and TOSHIBA, ensures Dolsi products with advantage of technical updating, working stability and high cost-performance. Product quality is our life and progress relies on. 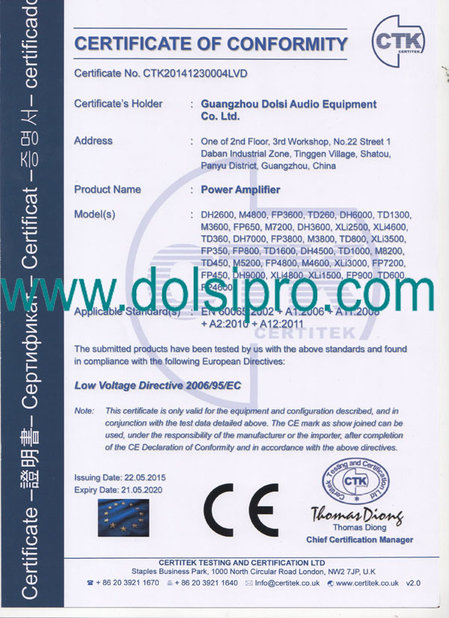 DOLSI audio products passed CCC ,CB and CE certification. 1. Product manufacturing with Dolsi brand. 2. 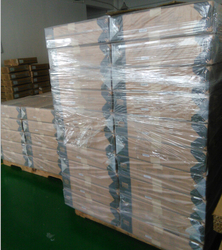 Procut manufacturing with your brand ( OEM).